I write as a Life Member of the Confraternity of the Blessed Sacrament (CBS) to formally complain about the one million pound grant given on May 27th 2011 by the Trustees of the Confraternity to the Ordinariate of Our Lady of Walsingham (an organisation of the Roman Catholic Church). I ask that you begin investigation into this matter as soon as possible. You have already received complaints about the fact that the grant is over 50% of the total assets of the Confraternity. 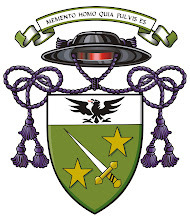 You will also have been made aware that five of the six Trustees of the Confraternity are recent converts to the group receiving the grant and that the inclusion of members of the Ordinariate in the Confraternity is a very recent development (April 2010 or perhaps 2009). The Trustees at the time of awarding the grant were: The Rev’d Christopher Pearson (Joined the Roman Catholic Church in 2011); The Rev’d David Waller (Joined the Roman Catholic Church in 2011); The Rev’d Christopher Lindlar (Joined the Roman Catholic Church in 2011); and The Rev’d Stephen Bould (Joined the Roman Catholic Church in 2011); The Rev’d Irving Hamer; and one other Roman Catholic priest. The grant of the 1 million pound grant is clearly not in keeping with the view of the Trustees the previous year. The primary thing that had changed is the denomination of most of the Trustees themselves. The ecclesiological background of the relationship between the Anglican Communion and the Roman Catholic Church is key to understanding this situation. Although the Anglican Church recognises the validity of Roman Catholic Orders (the ordination of Bishops, Priests and Deacons) and the Sacraments they celebrate the Roman Catholic Church does not reciprocate. The Papal Bull Apostolicae Curae issued by Pope Leo XII in 1896 declares that Anglican Orders are “absolutely null and utter void”. This teaching is still adhered to. In 1998 the Present Pope, when he was Prefect of the Congregation for the Doctrine of the Faith, issued a commentary on the Apostolic Letter Ad Tuendam Fidem which listed the teaching on Anglican Orders as one that Roman Catholics must give “firm and definitive assent”. Those who fail to do so would “no longer be in full communion with the Catholic Church”. Thus a Roman Catholic does not believe that Anglican Bishops, Priests and Deacons are actually ordained (thus are not actually Bishops, Priests or Deacons) or that they are able to celebrate the Sacraments. More to the point in this case, they do not believe that the Mass (Eucharist, Holy Communion) can be validly celebrated by an Anglican. In consequence a Roman Catholic does not recognise the Sacrament (the bread and wine after the Mass has been celebrated which the faithful then believe to be the Body and Blood of Christ) celebrated by an Anglican. Thus five of the six Trustees that made the grant, by nature of their membership in the Ordinariate, did not believe that the aims of the Confraternity were being met by the vast majority of the membership. Unlike other devotional societies which could happily include members of different denominations united by a particular theological conviction such as the Society of May, the CBS exists (as stated in its Constitution) to promote “3.1.1 the honour due to Jesus Christ in the Blessed Sacrament of his Body and Blood” and 3.1.4 “the reverent and dignified celebration of the Eucharist and the reservation and veneration of the Blessed Sacrament”. However the Superior General and the other CBS members of the Ordinariate deny that Christ is present in the Sacrament as celebrated by the Anglican Communion or that any celebration of the Eucharist even takes place (let alone reverently), not to mention the veneration of the Blessed Sacrament. Thus the very nature of the Confraternity instead of uniting all members in a theological conviction has instead divided the membership and become an issue of deep theological disagreement. I contend that the aims of the society are unable to be met by the Trustees that have joined the Roman Catholic Church. As a matter of obedience to their church and as a matter of conscience they will no longer be able to award grants to Anglican churches or societies for the furtherance of the society’s aims as they no longer believe that those objectives can be met within the Anglican Church. To continue to do so would be farcical. The Trustees that have joined the Ordinariate are no longer able to fulfil their role as Trustees as they control monies from Anglican sources that will have to be spent solely on Roman Catholics (if they conform to their Church’s teachings). The Roman Catholic trustees can no longer promote any of these aims except the last unless it is only for the few Roman Catholic members. Practically within the life of the society, this places them, and especially the Superior General The Rev’d Christopher Pearson, in an untenable position. The Superior General can no longer celebrate the Mass at Confraternity gatherings without excluding the vast majority of the Confraternity as the Roman Catholic Church does not allow Roman Catholic Priests to give communion to Anglicans. It also means that the Superior General and all the Trustees but one cannot receive the Sacrament when an Anglican says Mass or reverence the Sacrament when that Sacrament has been consecrated by an Anglican. This means that all services of veneration by the Confraternity must now be celebrated by the minority priests of the Ordinariate because Anglicans do acknowledge the validly of Roman Catholic Orders and the Sacraments they celebrate. In effect this amounts to a takeover by a small number of Roman Catholics of a charity founded as an Anglican Charity and which historically and numerically has always been so. Using the same reasoning I contend that the Counsel General when it allowed the Ordinariate to be one of the churches from which membership could be drawn from made a decision that ran contrary to the Constitution and thus was beyond its scope to do. The Council-General by making the decision to allow members of the Ordinariate into the CBS effectively was a Trojan Horse, and like it I believe the receivers were unaware of what they were ecclesiologically getting. It is questionable whether the Council-General had sufficient knowledge of this when the vote was taken to allow the cuckoo into the nest. I would also point out that nine of the twenty five members of Counsel General (36%) were Roman Catholics when the grant to the Roman Catholic Ordinariate was finally approved and re-elected the now Roman Catholic Superior General. The Confraternity of the Blessed Sacrament was founded by Anglicans as part of a movement within the Church of England. Its nature as an Anglican society may be clearly seen by the fact that its membership has been made of Anglicans and more telling that almost all grants of money since the founding of the society have been to Anglicans. “In furtherance of these objects the Confraternity organises services and meetings at national, District and local Ward level. It publishes a Manual of devotions for public and private use by Associates. The Quarterly contains Eucharistic teaching and also contains Intercessions to help Associates fulfil the second Object. It encourages adherence to the third Object by teaching through the Manual and Quarterly and by example in its own services. It gives grants of vessels and vestments to parishes at home and abroad for the reverent celebration and Reservation of the Eucharist. It also provides funding to other groups for purposes which reflect the Confraternity's Objects; this includes efforts to ensure that there will continue to be priests ordained in accordance with traditional Catholic order and sacraments on which Catholics can rely within the Church of England. As a point of history, the founder of the Confraternity, The Rev’d Canon T.T. Carter, was firmly against conversion to the Roman Catholic Church. He even wrote a book trying to dissuade Anglicans from becoming Roman Catholics: The Roman Question, in Letters to a Friend (London: J. Masters, 1888). In a recent document entitled ‘Confraternity of the Blessed Sacrament: Questions and Answers’ the leadership contends that The CBS is not an Anglican charity and justifies the grant given to the Ordinariate by stating that the Ordinariate is ‘in’ the Anglican Tradition. This is a blatant redefinition of the historical usage of the term by the Confraternity. For 148 years the Confraternity has interpreted ‘Anglican Tradition” as meaning the Church of England and other Provinces of the Anglican Communion and Churches in communion with it. To include the Ordinariate, that denies the validity of Anglican Orders and Sacraments, is a contentious and self serving reinterpretation. To give over half of the charities funds to a body does not recognise the Anglican Church and then to claim it is ‘within the Anglican tradition’ is simply absurd. I ask the Charity Commission to take the recent developments against the backdrop of the founding and last 148 years of the 149 years of the charity into consideration. The Trustees are accountable for operating the charity within the scope of the aim of the original trust. Changes to the operations and the rules should be in the spirit of the original trust. Changes to the rule and aims without suitable consultation should not be considered legal. I also question whether the Trustees declared their personal interest in the matter of the grant correctly. They should have declared their interest before discussion on the matter and then absented themselves from the meeting (unless asked to stay by the non interested parties) during the discussion. They should have absented themselves from the vote. They also should not have been counted as part of quorum. This did not happen because if it had then there would have been only one Trustee in the room with no one to discuss anything with (unless he himself asked everyone else to stay) and he would have had to vote on the matter by himself. The Trustees claim that they will not directly benefit from the grant. This is untrue. The Ordinariate has limited funds and must pay for the new clergy that have joined it. Although the grant from the Confraternity could be kept as a separate amount and money from this fund not be paid to the Trustees the fact is that the grant frees up the other money to pay them. If you only have twenty pounds and fifteen pounds has come from another source, it is disingenuous to claim you are being paid from the five pounds that originally existed. The Confraternity is not known for making huge decisions or being the centre of attention. For decades it has gone about its business with dignity and perseverance without rocking the boat. Thus it took ordinarily members by surprise to find out that something as huge as the grant of over half our assets had been given to the Ordinariate, that five of the Trustees had become members of that organisation, and unfortunately, that the CBS Council-General last year had allowed Ordinariate members to join. Although it is the responsibility of the membership to pay close attention to what is happening in the society it is understandable that people did not because nothing like this has ever happened before. So I believe it is against the wishes of the membership of the Charity. The fact that the membership was not consulted before such an unprecedented move, and not informed that the Superior General and the Trustees had become members of the Ordinariate gives the impression of secrecy and Machiavellian machinations. This is added to by the Superior-General, in his letter of 5th July 2011, informing the membership that “all membership and district elections are suspended until the Council-General next meets in June 2012”. The festival of the Confraternity scheduled for November of this year has also been cancelled. In leadership common sense, adaptability, and integrity are recognised traits. For the leadership of the Confraternity to treat a million pound grant as ‘ordinary business’ is disingenuous. I contend that such an unprecedented use of charity funds should have led to a consultation of the whole membership of the charity to seek guidance and input. The failure to do so gives the impression that not making the grant public until it had already been awarded gives credence to the belief that the Trustees knew it would be controversial and would not receive the support of the society. Whether this was a lack of common sense, adaptability or integrity is not a judgement I am in a position to make. What has occurred in the last calendar year amounts to a political and financial takeover of an Anglican charity by a small number of Roman Catholic members of the leadership that is at odds with the previous 148 years of its history. To conclude I ask that the Charity Commission investigate the running of the CBS, the actions of the Trustees, and , specifically, the grant made by them to the Roman Catholic Ordinariate in England and Wales. It is my hope that the million pounds given to the Ordinariate will be returned to the Confraternity and that the Roman Catholic Trustees will be replaced. Below is the final decision of the Charity Commission, June 28th 2012. The charity’s purposes are the advancement of the catholic faith in the Anglican Tradition. The charity ‘s purpose is closely connected to the Personal Ordinariate of Our Lady of Walsingham which established a structure that enabled former Anglicans to enter into full communion with the Roman Catholic Church . The charity was established to advance the catholic religion by any of the charitable activities undertaken by or in connection with the Personal Ordinariate. The Commission received a substantial number of complaints about a grant of £1m which the trustees of the Confraternity had made to the Ordinariate. Whether the trustees’ decision to make the grant was validly made (in particular, whether the trustee body was inquorate because the trustees were subject to a “personal interest” which meant they were not entitled to act). During our engagement with the charities the Commission set out its provisional conclusions. Both charities co-operated fully with our staff but, having taken legal advice, disagreed with our provisional conclusions. For this reason, we asked a member of our Senior Management Team to review our initial findings under our decision review procedure. The decision to make a grant to the Ordinariate was taken at an inquorate meeting, the majority of the trustees having a (financial) personal interest in the decision. It was also in breach of the charity’s governing document. The meeting being inquorate, the decision was invalid. There was no valid exercise of the power to make a gift to the Ordinariate and the payment was unauthorised. The gift is held upon constructive trust by the Ordinariate for the Confraternity. The objects of the Ordinariate are wider than those of the Confraternity. A gift given to the Ordinariate without restriction could be used for purposes which have no connection with the Anglican tradition at all. The precise meaning of Anglican Tradition is unclear but there is substantial doubt whether the Confraternity could make a grant to the Ordinariate (even with restrictions) which could be applied by the Ordinariate consistently with the objects of the Confraternity. The Commission therefore considered the trustees of both charities were under a duty to take action to ensure the repayment of the money. We have been informed that the grant has been returned in full (with interest) by the Ordinariate of its own volition. We continue to work with the charities to ensure that all our regulatory concerns have been addressed. The Venerable Dr Edward Simonton OGS is the Vicar General and Archdeacon of Quebec, Secretary-General of the Oratory of the Good Shepherd, Member of the Anglican Oriental Orthodox International Commission, and Member of the International Anglican Liturgical Consultation. He served as the Archdeacon of Saint Francis in the Diocese of Quebec from 2012-2016 and the Archdeacon of Saint Andrews in the Diocese of Montreal from 2006 until 2012. 'Whitterings' was a regular column that appeared in the Montreal Anglican from 2004 until 2012. From January 2012 until May 2012 this site served as the Blog of the St Basil Scholarship's ecumenical exchange between the Anglican Church of Canada and the Oriental Orthodox Churches and the Assyrian Orthodox Church.The occasional posts since 2012 tend to be of a more academic or homiletical nature.